The time to weatherize your home for winter is before the winds start to blow and the thermometer drops. But even if you’re late to the game, there are still home weatherization steps you can take to help lower your energy costs and while making your home warmer. Even small steps can help make a cumulative difference on your monthly energy bills. Figuring out where to start and how to weatherize your home for winter can be daunting. We’ve done the research for you, so here are five easy home weatherization tips to help you start lowering your energy costs and guarantee your home will be cozier when the mercury drops. Clean your gutters. Yes, it’s a nasty job, but clogged gutters are a primary reason ice dams build up. Ice dams are those nasty ice floes that form on your roof if the gutter doesn’t properly drain. The warm air in your house leaks into the attic, which warms the roof and causes the ice and snow to melt. The ice lies beneath the snow to the gutter, where it refreezes instead of being drained. That causes the ice buildup, which can create water spots inside your home. Sealing home air leaks can help prevent this problem, as well. Install — and set! — programmable thermostats. Programmable thermostats are one example of easy home weatherization tips that can make your heating (and cooling) system operate more efficiently. Why heat a home — or cool it for that matter — at the same temperature when no one is in it? Programmable thermostats are easy to install and ENERGY STAR estimates you can save as much as 10% on heating and cooling costs by properly using one. The critical piece is actually using the thermostat once you have it. Set it to the recommended temperatures and then just enjoy the savings. Change ceiling fans to rotate the correct way. Many only think of ceiling fans as a summer tool for cooling. But a ceiling fan can be an important tool in your home weatherization tips toolbox year-round. In the winter, it can also be used to rotate air flow so that heat rising into a high ceiling is blown back down to where it can do the most good — where the people are. That can only happen if it’s blowing the right way, however. Check, clean or replace central heating filters. Checking filters is on ENERGY STAR’s monthly home weatherization tips checklist. ENERGY STAR recommends checking filters monthly and changing them every three months, at least. A dirty air filter slows down air flow and makes a system work harder, thereby wasting energy. Flush your water heater. Sediment inevitably gathers inside your water heater (unless you have a tankless one) and impedes the water flow. Flushing is an easy DIY task to weatherize your home for winter. The Family Handyman is just one of many online videos that can walk you through this. Windows and doors top the list of culprits for air leaks and other issues that can lower the energy efficiency of your house. Paying attention to window weatherization and weatherizing doors, then, are among the smartest ways you can weatherize your home for winter. Here are some home weatherization tips to get you started. Weatherizing old windows doesn’t have to be expensive or even that time-consuming. As part of weatherizing your home for winter and before you decide specifically how to weatherize your windows, though, it’s smart to take the time to check your windows for air leaks. The Energy Information Administration estimates that as much as 33% of heat loss occurs through leaky windows and doors. Install window film: A window film— literally, a plastic film that is placed over window glass— can keep up to 70% of your heat from leaking out your windows, says Bob Vila of This Old House. They work especially well for weatherizing old windows because you don’t need to worry about any cracks or loose areas often found in older windows. Just place the film on the glass. Install weatherstrip. 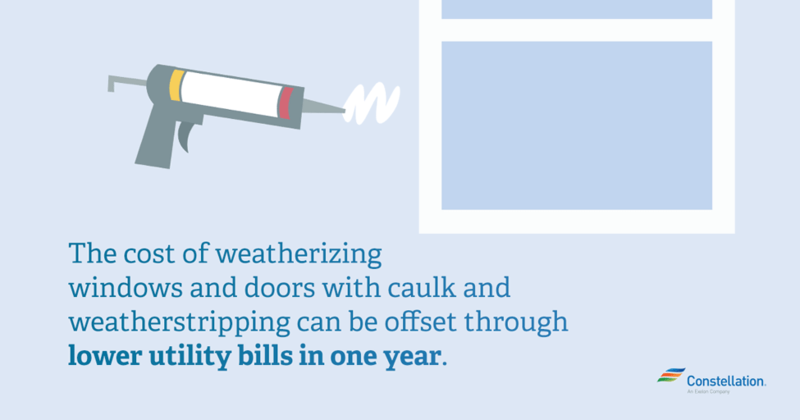 Adding weatherstripping is a great weatherizing windows tip that can help keep the outside air where it belongs — outside. See our weatherstripping tips below for weatherizing windows and doors. Add caulk. Caulking works best for weatherizing old windows with cracks that are less than ¼ inch in width on non-moveable window parts. We’re likely talking frame here or perhaps where the trim meets the wall. Install draft stoppers. Like the draft guards or door sweepers attached to the bottom of doors, window draft stoppers placed at the bottom of a window frame can also be an effective window weatherization strategy. Just place the stopper at the bottom of the window and shut it tight. Voila! No more air leak. Knowing how to weatherize a door may seem as if it will take a lot of time and effort. However, as these tips will show, weatherizing doors is easier than you may think. Install draft guards. Draft guards, the guards that attach to the bottom of your door, work well for weatherizing doors by preventing heat from escaping under the door. If you don’t want to pay the $10-15 for a guard, a rolled towel is a decent substitute. Don’t use the towel substitute for a door that gets a lot of traffic, though. Caulk it. As with windows, weatherizing doors with caulk should only be done around non-moveable parts or places where the door might have a crack. Weatherstrip. Weatherstripping can also be effective for weatherizing doors. See below for details on how to weatherize a door with weatherstripping. Weatherstripping works for weatherizing doors and windows. However, Energy.gov says it’s critical to pick the right weatherstripping for the job. What works for how to weatherize a door does not necessarily work for how to weatherize your windows. Be sure the weatherstripping is thick enough to press tightly between the door and the door jamb when the door closes but not so thick that it’s hard for the door to close properly. Apply weatherstripping between the sash and the frame. Be sure the weatherstripping doesn’t interfere with the operation of the window. You’ve learned how to weatherize your home for winter. Want more home energy savings tips? Check out our basement insulation and attic insulation posts, as well as how to find air leaks in your home. It’s really hard to figure out where to start if you want to weatherize your home. It seems that there’s a lot of things to consider for it. Good thing that you are able to do a good research about it. And all these easy tips can help all the household out there who are having a hard time dealing in getting their place weatherize. You’re right, weatherizing can be difficult, but good research yields great results! During winter, there’s a big possibility that any part of your house will be destroyed because of the weather. Due to this, you need to have options on how to protect it. These winter energy saving tips from your post can surely help a lot of households or homeowners as they prepared to weatherize their own space. Thanks for taking the time to comment. 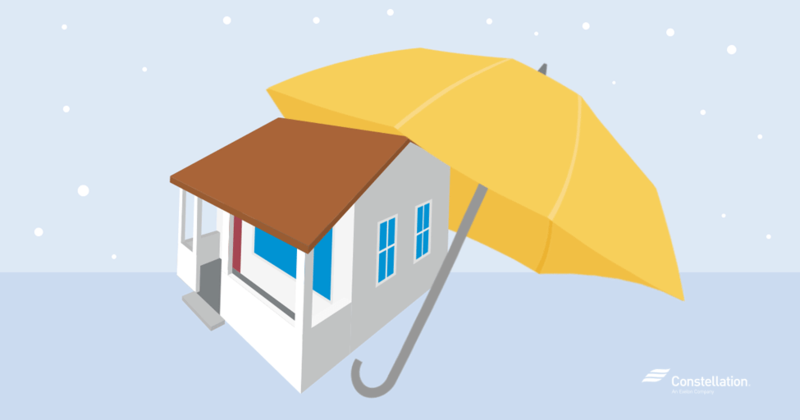 Yes, winter can be rough on a house, so being prepared is a great step towards keeping your home in tip-top shape year-round.